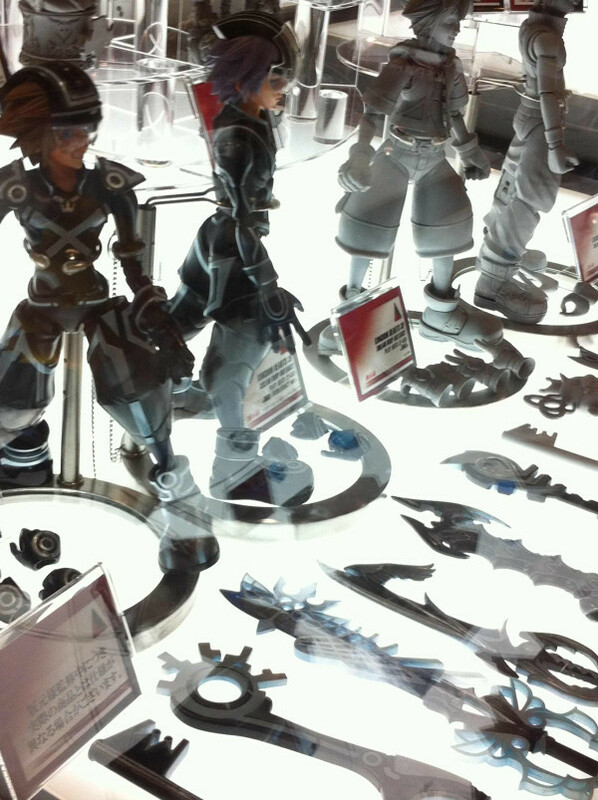 Square Enix has just announced a Kingdom Hearts HD remix at the Tokyo Game Show that is happening as we speak! So far they have added a teaser site and minor information. So far it’s shown that Kingdom Hearts Final Mix, Re:Chain Of Memories, and Kingdom Hearts 358/2 Days will receive an HD remake on the PS3! We will add more when more information comes to light! The world of fairy tales far. The world is filled with light that light was wrapped, and a variety of the world’s creator. 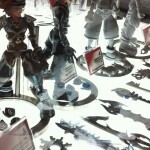 Kingdom Hearts source of light, the key to protect it (key) blade. I believed that as long as there is, the world is in the light of eternity. However, the strong light cast shadows gave birth to darkness. Darkness evoke anxiety and fear, the desire. Darkness hidden in the depths of my heart, and began to spread to the world as chaos. I started a round-the-world adventure. Able to play with the browser of PC, social games for the browser of the first series. Become a hero, customize your avatar, players around the world in a variety of Disney. To expand the game, such as search and collect the material in various locations, such as the battle system to divide the outcome by card collection, a completely new element. How to enjoy as well, such as an enemy, sometimes in cooperation with friends! UPDATE 2: The official Kingdom Hearts Blog “Message From The Kingdom” revealed that the cutscenes from KH 358/2 Days will be HD in Theater mode while Re: Chain of Memories and KH Final Mix will be full HD remake and will support PS3 trophies! Also the KH Browser game will have a card system with customizable avatars! 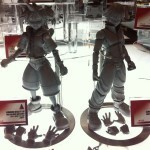 UPDATE 3: Kingdom Hearts HD 1.5 ReMix is to be released in 2013 and there are trailers being shown at Tokyo Game Show. UPDATE 5: Thanks to 4Gamer, we have more information on the Kingdom Hearts Browser game! Character designers will be done by Monster Octopus which is the same designer that did Kingdom Hearts Mobile and Theatrhythm Final Fantasy games! 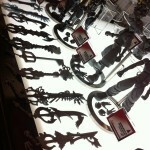 It’ll be a simple 2D action game, which everybody will be Keyblade Wielders involved in the Keyblade War. ・A promo vid almost entirely in text. Inserted into the flow of text here and there were screens of the opening movie from KH2, the secret endings ‘Gathering’, and ‘Birth by Sleep’. The voicing was in English, with Japanese subtitles displayed. I’m sure it’s the same as the outline but I recorded the whole thing in case. ・ From the “darkness spread” part, screens of gameplay show. Exploring Wonderland, Alice and the Cheshire Cat are confirmed. The way to open treasure chests follows the current trend of throwing the Keyblade and then tapping it. I feel quite sorry for the treasure chests! As for the screens of battle, there is a fight using the power of a card that has been drawn to confront (?) one enemy Shadow, sort of thing. 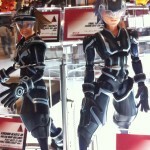 By the way, the player used a Limit Form Sora card. It used a Ragnarok-type technique. Also, I was interested to see a treasure chest behind the Shadow. Field encounter style? It was basically a long succession of famous scenes and elements. Destiny Islands, Kairi and Sora looking at the ocean. From the first game. It starts off a small screen, but right after it becomes a big screen. No need for the usual frame! Destiny Island swallowed by the darkness, Kairi disappearing. Destiny Islands, Riku who can’t hide how happy he is to be able to leave. From the first game. Sora standing in front of Castle Oblivion. Traverse Town, Sora, Donald and Goofy putting their hands together. From the first game. Goofy: All for one, one for all! The lobby of Castle Oblivion, Axel talking to Sora. From CoM. 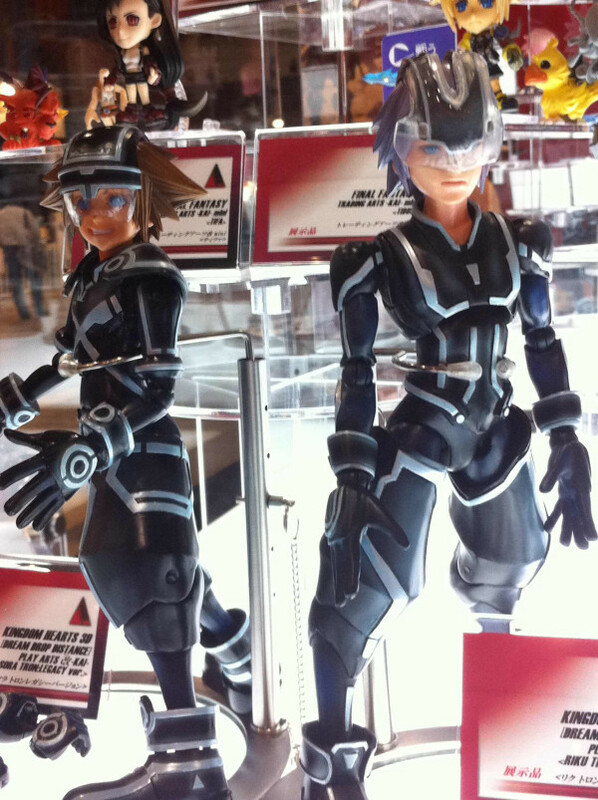 Riku Replica, having appeared in front of Riku. From CoM. 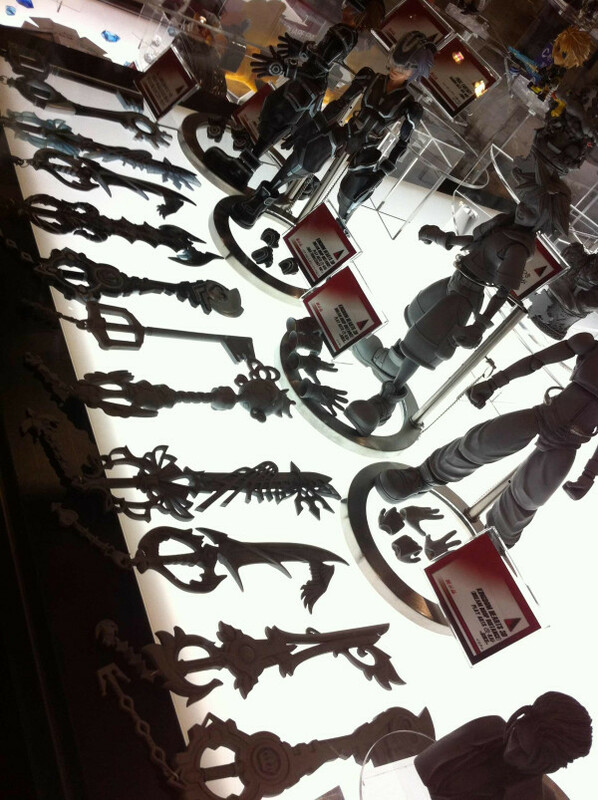 Ansem standing on Destiny Islands, which has been swallowed into the End of the World. From the first game. Screens of battle. All from the first game, interface is exactly the same as the first game. I can’t confirm the shortcuts but I think there were probably three. After showing Sora and Namine on Destiny Islands, Lexaeus, Larxene, Vexen, Marluxia appear in succession. Castle Oblivion, Sora protecting Namine. From CoM. 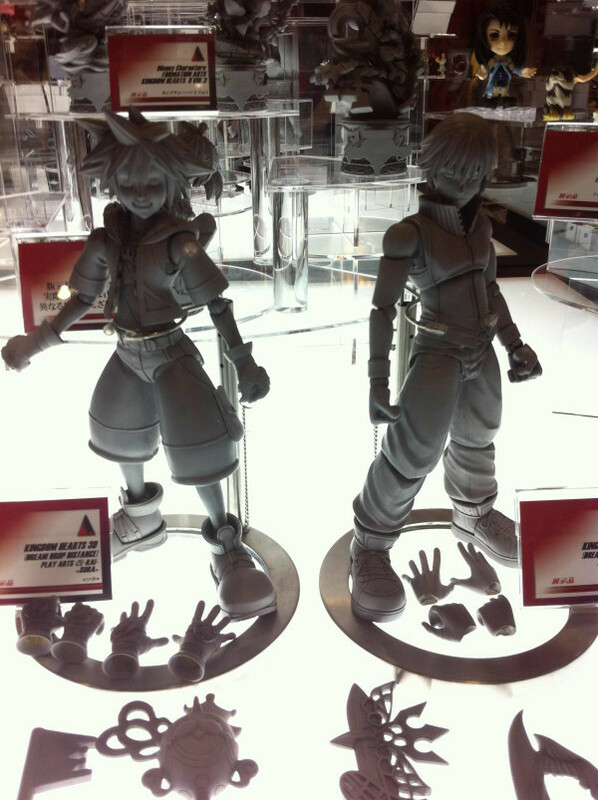 Hollow Bastion, Riku holding Ansem back. From the first game. Sora, blocking the possessed Riku’s Keyblade. From the first game. Sora fading away, and everyone trying to stop it. From the first game. Donald: Sora! Come back, Sora! ・Twilight Town, on top of the clock tower. Axel proposing to Roxas and Xion that they go to the beach. In the original game this was a text conversation, and this is the first time this scene has been voiced. By the way, I think all of them were sitting in the original cutscene but in this they are all standing. Axel: Let’s go to the beach next time we get a day off. Xion: The beach? Where did that come from? Axel: What, don’t you want to go somewhere different for a change? Xion: …I’ll join you…if I can. Roxas: Of course you can, Xion. Axel: You’ll have a blast, trust me. Xion: Well…all right, sure. Let’s do it.